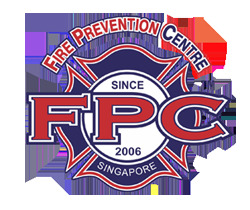 Create fire safety awareness program (complementary) to the public. To achieve fire hazard-free environment. No cost involved/sign up any course at the end of it. Fire KILLS and DESTROYS. Fire will not say sorry to the Lives and Properties that have been destroyed. Every year, many homes are destroyed by fire and very often leaving innocent people homeless, injured or killed in the fire scene. Many of those deaths and injuries could have been prevented if people had a better understanding of fire. In the event of fire, TIME is the biggest enemy and every second counts! We treasure and value everything surrounding us even those of our enemies as every life around us is PRECIOUS! It is highly encouraged that all staffs and representatives of the organization to participate in this life saving skill seminar. It should be arranged at the earliest possible date as FIRE does not wait! The seminar will be conducted at your premises.